A therapeutic toothpaste designed for healthy tooth and gum maintenance. 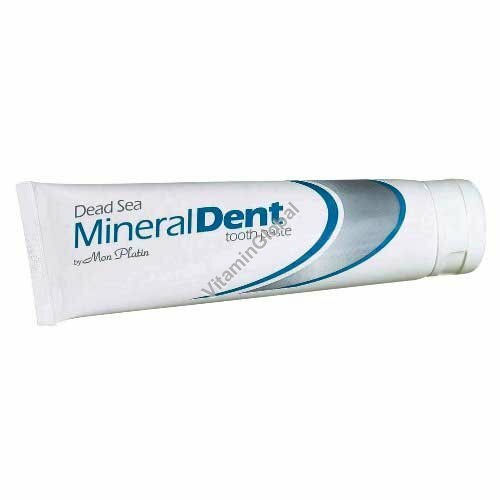 Mon Platin Mineral Dent Toothpaste contains unique Dead Sea minerals to protect and clean the gums, together with fluoride and triclosan to maximize oral hygiene and prevent caries. Added titanium helps whiten the teeth. Ideal for oral health for the whole family. Instructions: Brush teeth twice a day. Not suitable for children under the age of 6.